It is true that St George is a nice place to visit, but, why visit when you could live here? After vacationing here for several years, and then moving here, we felt like we were on vacation the first five years we lived here. It is sad that sometimes those of us who are lucky enough to live here, take the natural beauty of this area for granted. 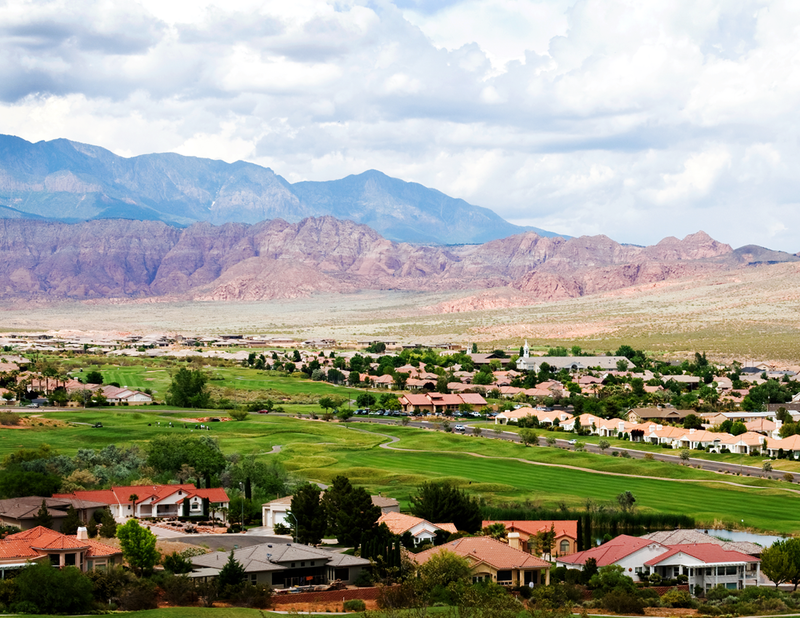 It is surprisingly affordable to buy a home in St George, or any of the surrounding areas. One of the great reasons to live in the St George area, is the small town atmosphere coupled with the benefits of most major cities. The fall season brings with it many exciting events that bring thousands of people to St George. These national events include the St George Marathon, the Huntsman Senior games, the Fall Festival, and the Halloween Carnival just to mention a few. The City of St George does a great job of coordinating events that define this fabulous place to live! Another advantage of living in Southern Utah is the mild weather. The summers are hot, but the Spring, Fall, and Winters are why people love to live here. Another advantage of living in the St George area is the minimal amount of snow we receive. Most people who live here don’t even own a snow shovel. If we do receive snow it is usually gone in a few hours. Utah, and specifically St George, is mentioned in Top Places to Retire on their website. The benefits of lower population and strong economy make this area a great choice for those considering a place to live or retire. This blog post was shared by Kevin Richey.